Jodi sent me an email about a month ago for these brownies. I thought first of all how pretty they were and second, how fun they would be to make for Valentine’s Day! I have spread my wings when it has come to experimenting with baking! Don’t get me wrong, this was as nerve racking as could be for me tonight. But I was determined to get these made and make them look as pretty as I could! Who doesn’t love chocolate brownies? And even better, who doesn’t love any type of buttercream frosting with chocolate!! My hand is in the hair raised! The brownies were dark and sweet and the filling was even sweeter! 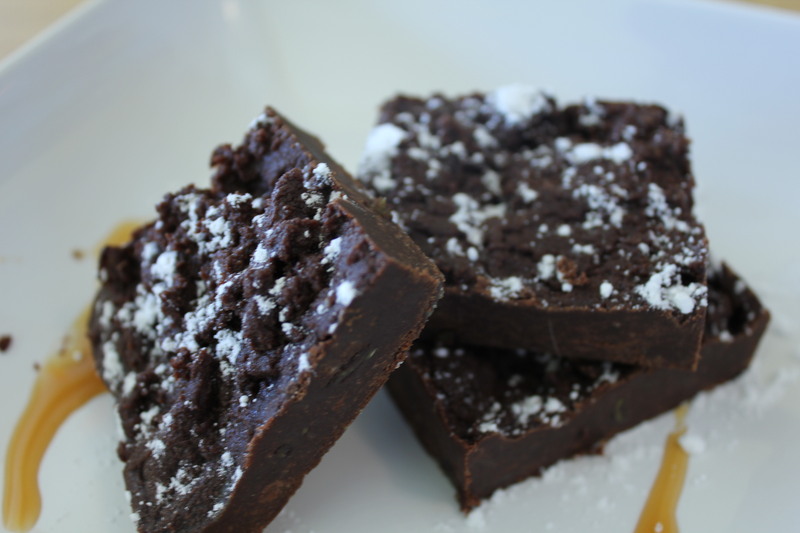 Jodi found these brownies on A Farmgirl’s Babbles blog and I’m really glad she did. I’d say that this was easy for me to make but it wasn’t. Not because they were hard to make, but because it’s hard for ME to bake! I have come a long way and keep pushing myself to see how far I can go without destroying something…..keeping positive thoughts. Stir the butter and chocolate in a large heavy saucepan over very low heat until chocolate is melted. Remove from heat and whisk in the sugar, and then the eggs, 1 at a time. Whisk in cocoa powder, vanilla, and salt. Then sift the flour over the chocolate mixture and stir to blend well. Transfer batter to prepared pan. Cook the raspberries in a medium saucepan over medium heat, stirring frequently until the raspberries are broken down into a sauce. 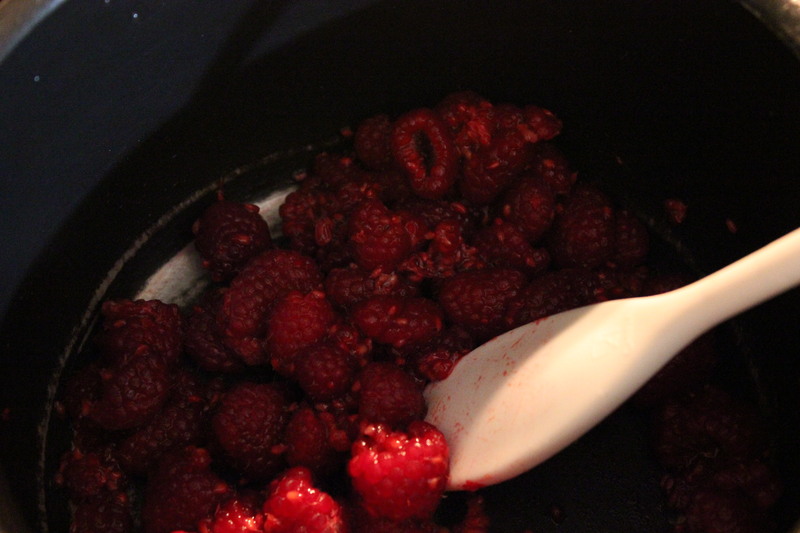 Pour the sauce through a fine mesh strainer to remove the seeds, and then pour the raspberry sauce back in the pot. Simmer until the sauce reduces to a 1/4 cup. It will be a very rich red and concentrated sauce. Set aside to cool. With a mixer, cream the butter with a paddle attachment on medium high speed about 2 minutes, until lightened in color and a bit fluffy. Add 2 cups of powdered sugar, the 1/4 cup of cooled raspberry sauce, lemon juice, and salt. Mix until smooth. Add another 1-1/2 cups of powdered sugar and mix until smooth. 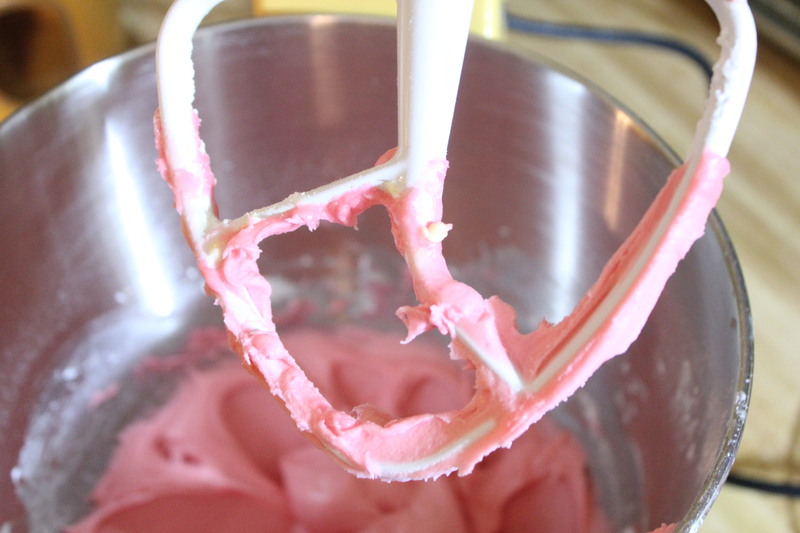 If you want the frosting less stiff, add some milk, 1 tablespoon at a time. I did not add any milk to mine, and thought it was perfect for piping. Fit a pastry bag with a medium-large round tip (I used a Wilton #12) and fill with fresh raspberry buttercream. Run a knife around the inside edge of the brownie pan. Use the overhanging foil as an aid and gently lift the brownies from the pan. 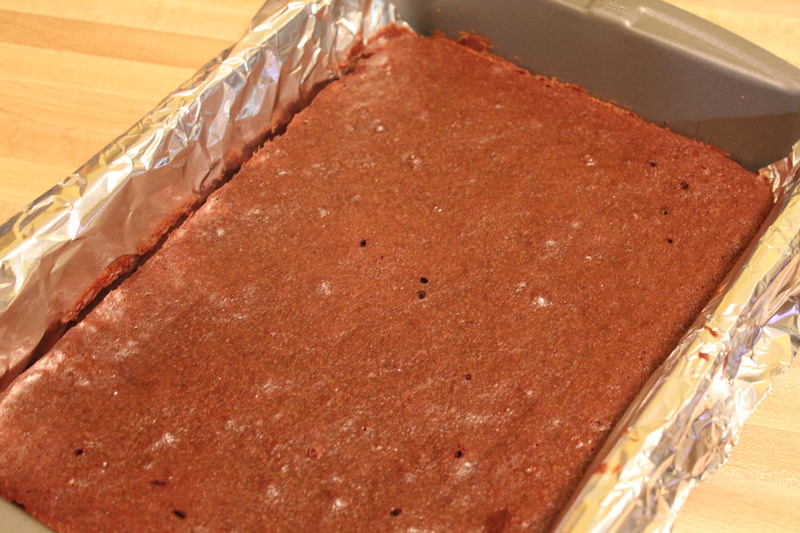 The pan I used produces a brownie that is 1/2″ thick. Be sure your cookie cutter is taller than 1/2″. 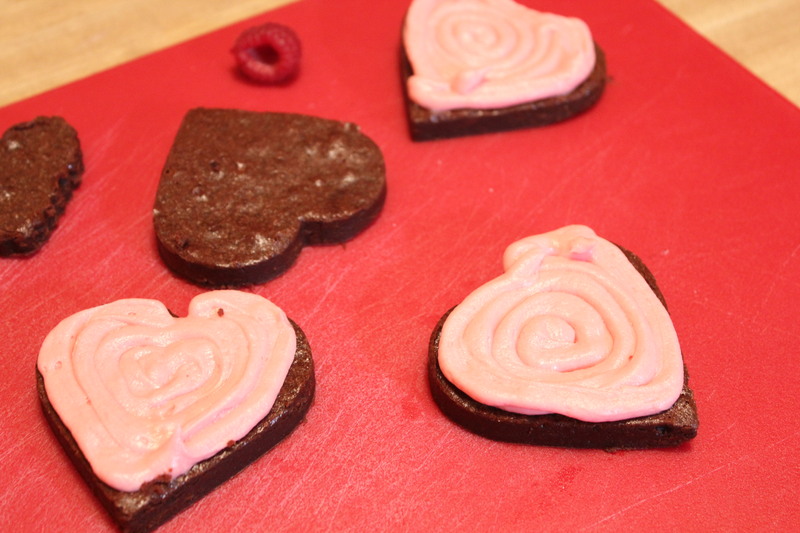 Press heart-shaped cookie cutters (the cookie cutters used in my photos measure 3″ wide and 1-1/2″ wide) firmly into the cooled brownie. 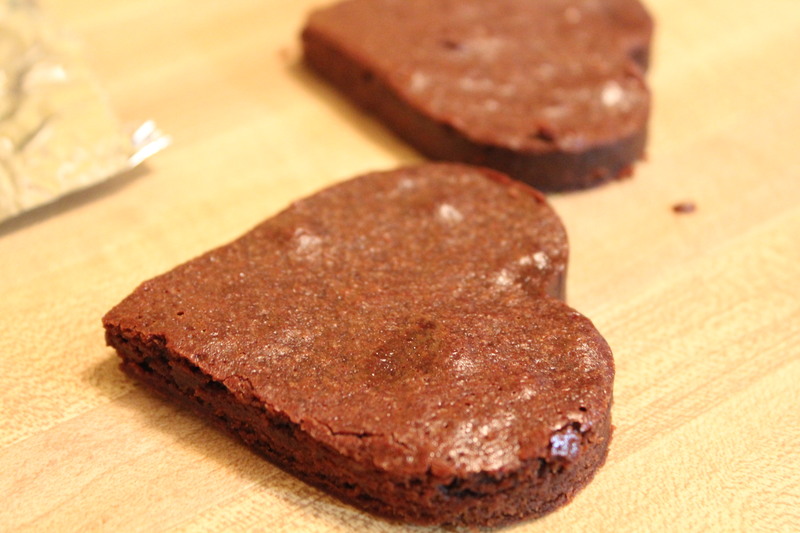 Use a thin metal spatula to lift the cookie cutter filled with brownie from the foil. Gently press the brownie out of the cookie cutter. 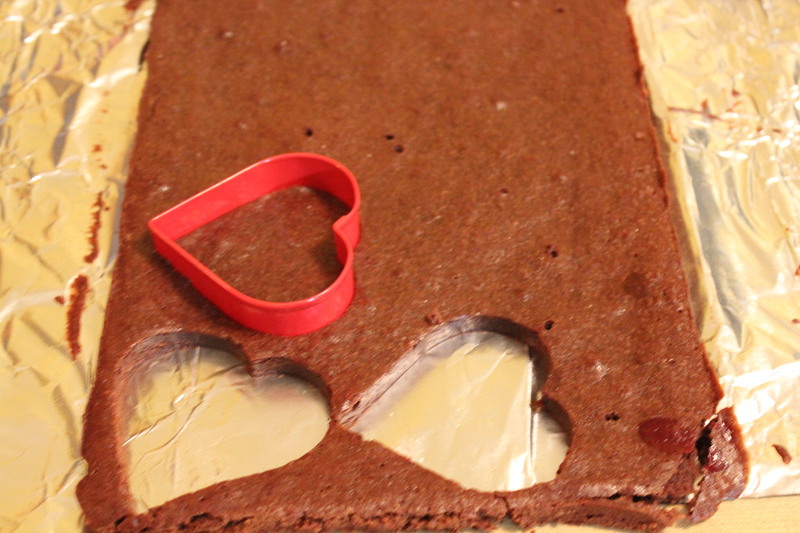 Repeat the cutting process until your brownie looks like a big piece of swiss cheese. (And I hope you’re eating up some of those brownie scraps! ) And yes we did..The kids had more fun eating that than the brownie with the frosting. 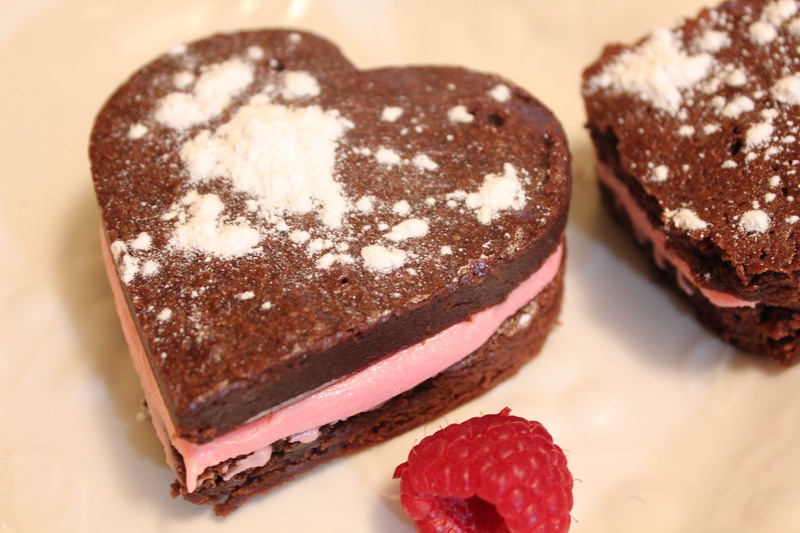 With the pastry bag filled with fresh raspberry buttercream, pipe a line of frosting around the inside edge of one of the brownie hearts. Then fill in the inside of the line with frosting, too. Top with another brownie heart, very gently pressing down to make a sandwich. Repeat until all your brownie hearts are completed. 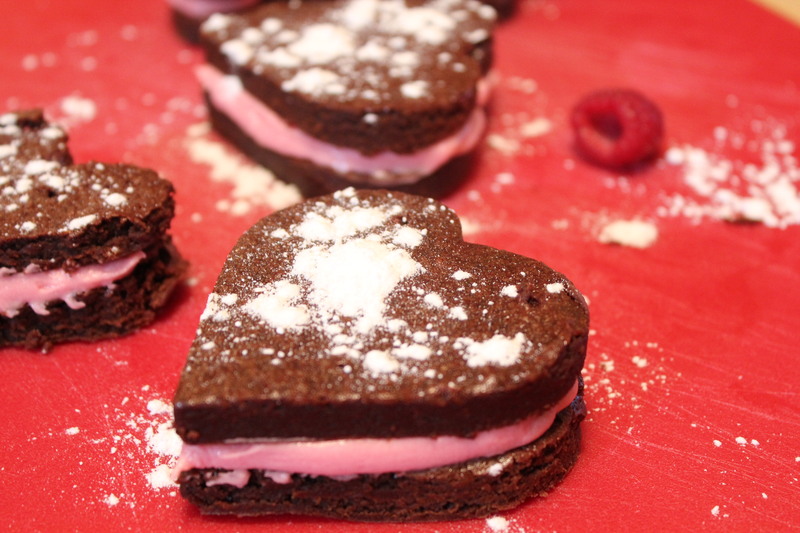 To finish off, sprinkle the brownie hearts with powdered sugar. I like to fill a small hand sieve with powdered sugar and gently tap the side of the sieve to let the powdered sugar rain down. I don’t have a small hand sieve (but will get one) so I used a spoon or my fingers…which is why mine have a thicker coating. Have a great weekend and a Happy Valentine’s Day! Grease a 9×13 inch baking dish. In a large bowl, mix together brown sugar and 1 teaspoon cinnamon. Mix in melted butter. Stir in apples and raisins until evenly coated. Pour into prepared pan. 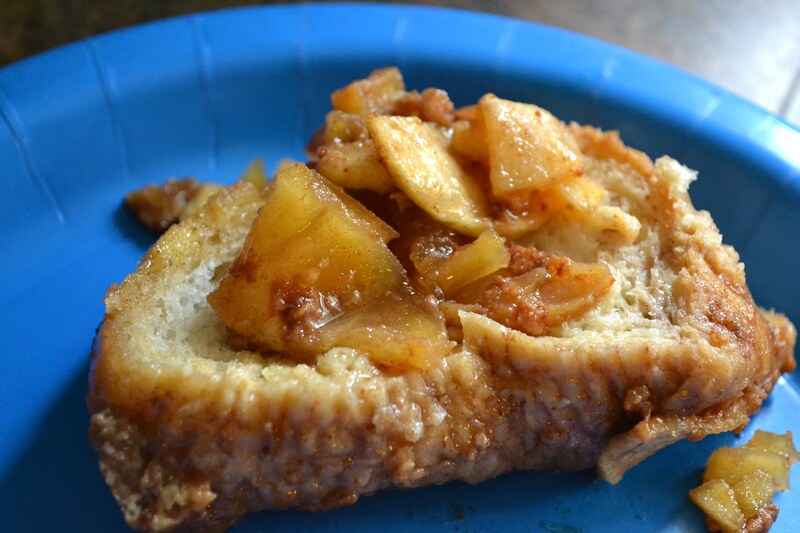 Arrange bread slices in an even layer over apples. In the bowl, whisk together eggs, milk, vanilla and 2 teaspoons cinnamon. Pour over bread, making sure every slice is fully soaked. 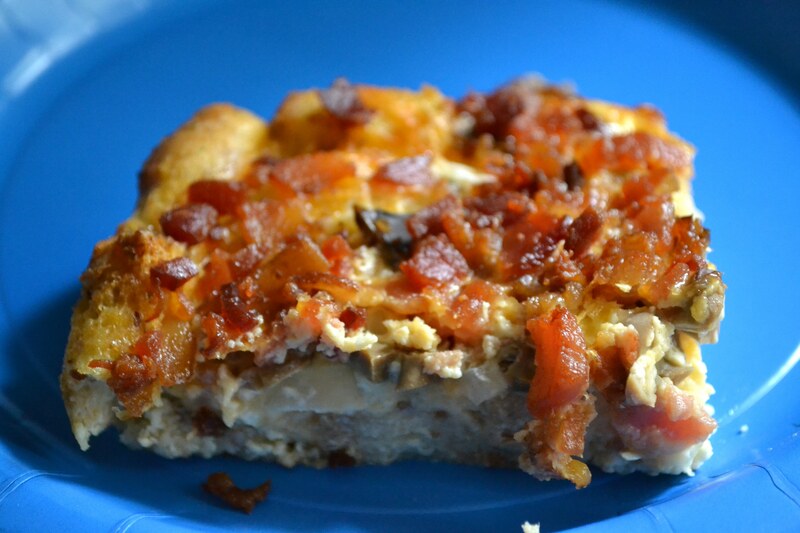 Cover with aluminum foil, and refrigerated overnight. Preheat oven to 375 degrees F (190 degrees C). Remove dish from refrigerator while the oven is heating. Bake covered for 40 minutes. Remove cover, and bake 5 minutes. Let stand 5 minutes before serving. If that weren’t enough, we also had some Tuxedo Brown Cups that Miss Jodi mommy made. These too, we beyond words. 1. Preheat oven to 325°F (160°C). Spray cups of Deluxe Mini-Muffin Pan with nonstick cooking spray with flour. Prepare brownie mix according to package directions for cake-like brownies. Fill wells of pan two-thirds full. Bake 14 minutes or until edges are set. (Do not overbake.) 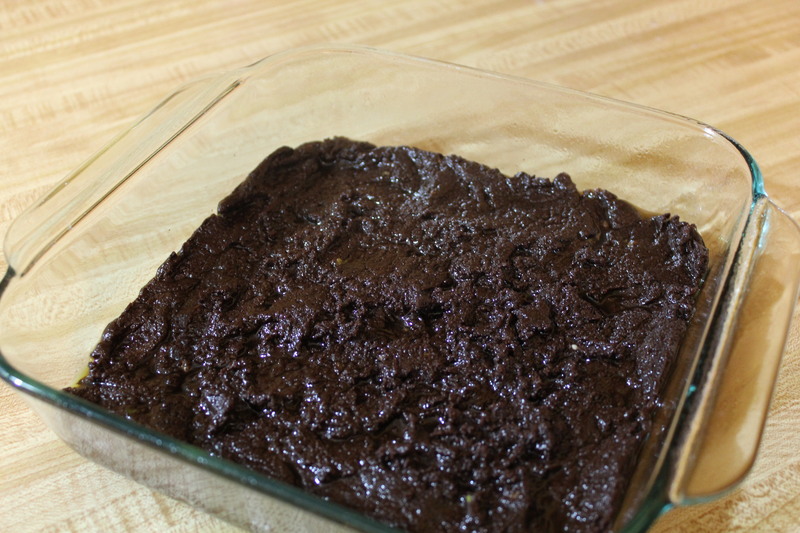 Remove pan from oven; immediately press tops of brownies to make indentations. Cool in pan 15 minutes. Remove brownies from pan; cool completely. Wash pan; repeat with remaining batter. 2. Combine white chocolate and milk in large microwave-safe bowl; microwave on HIGH 1 minute. Stir until smooth; cool slightly. 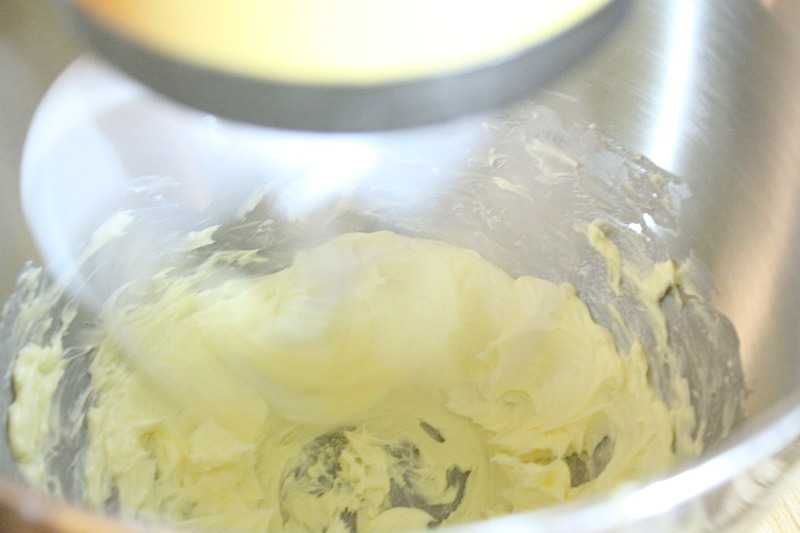 In large mixing bowl, combine cream cheese and sugar; mix well. Gradually stir in white chocolate mixture until smooth. Fold in whipped topping. 3. 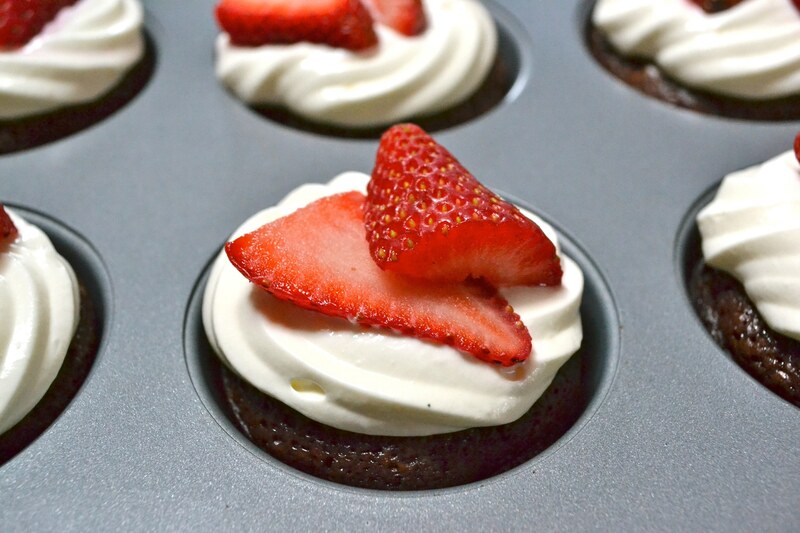 Pipe cream cheese mixture into brownie cups; top with strawberries. Refrigerate 1-3 hours before serving. Serve on Large Bamboo Platter; replenish tray with brownie cups as needed. 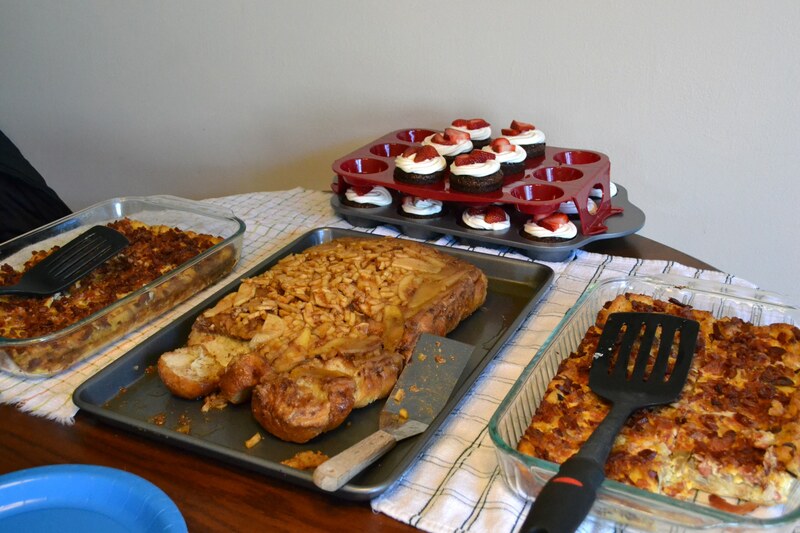 Here’s a picture of the great food we had yesterday. Playing Guess the Book gameGift timeA bottle of wine for after the little guy is born! We had a great time. 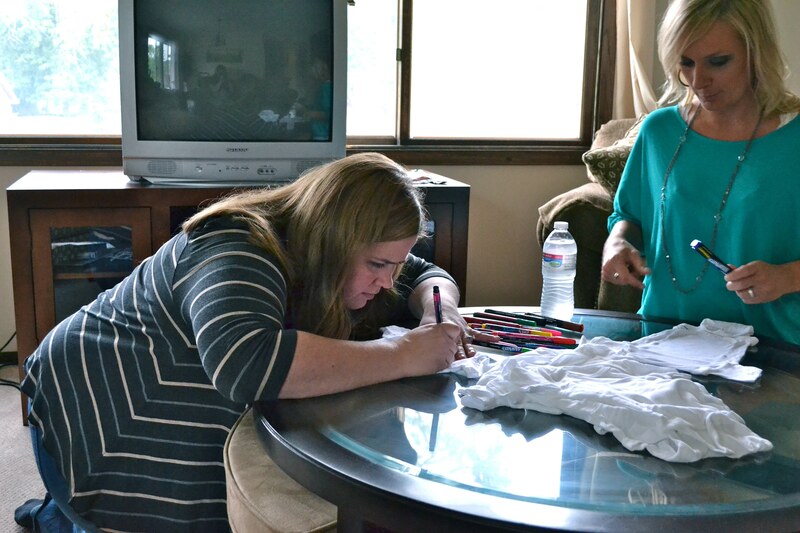 I want to say thank you, thank you to Sarah. 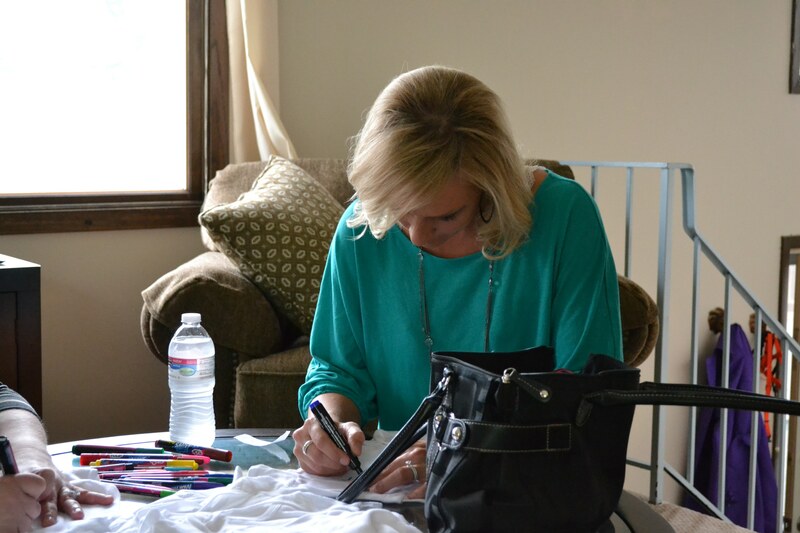 She opened up her home for us to have this awesome party to celebrate for Jodi. 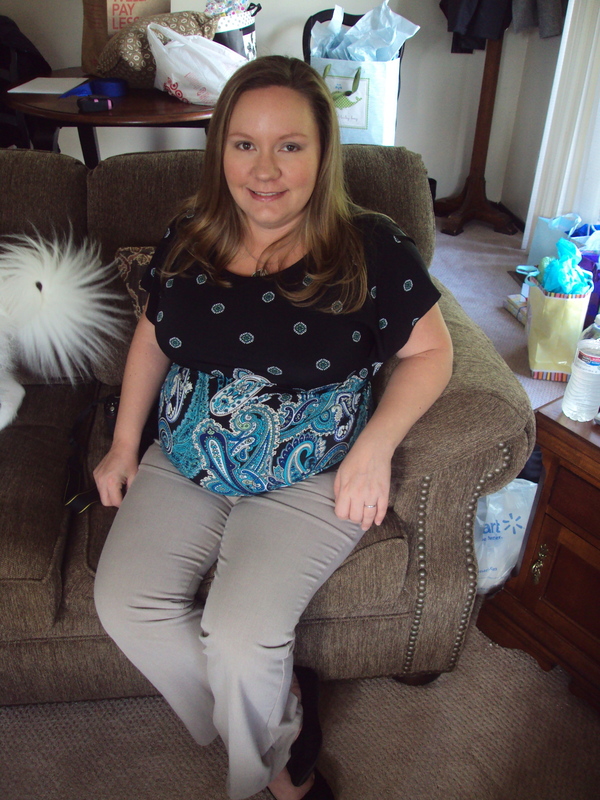 We had a good time with not just the food but rubbing Jodi’s belly and feeling her little guy move around. I’m so glad I got to be a part of this and can’t wait for more to come!